Nothing makes tempers flare like streets and sidewalks. The idea of doubling down on Missoula property owners who fail to clear snow from the walkways has caused city leaders to tap the brakes a bit. Then, when tempers exploded over charging homeowners as much as $40,000 for construction of new sidewalks fronting their property, the mayor not only slammed on the brakes, but shut off the engine and put it in park. Tempers have been flaring over Missoula’s streets and sidewalks since the 19th century – in fact, in November 1890 the City Council, trying to assign street and sidewalk work, couldn’t even agree whether Missoula had a street commissioner. 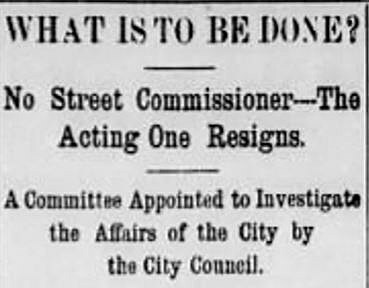 Alderman Matthus said, “There was no such person as a street commissioner … that office had been abolished some time ago,” according to the Missoula Weekly Gazette. 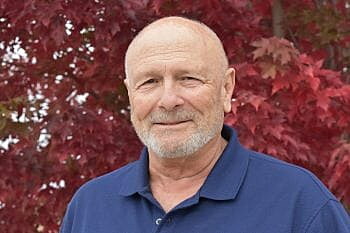 Not so, according to City Attorney Reeves, who said no proper legal action had even been taken. Back then, it was most common that folks would petition the city for sidewalks. If the council agreed, the city would notify the property owners. In October 1891, J.W. Kemp was charged $57.90 for 138 feet of sidewalk. W. Sullivan’s share was $12.60 for 30 feet. 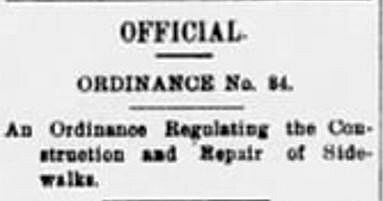 Missoula’s earliest official sidewalk ordinance that I can track down was “Ordinance 84,” which was passed on September 25, 1897. It required property owners to begin constructing the sidewalk within 10 days of being notified, and to have it completed within 20 days. If anyone might choose to “neglect or refuse to build the sidewalk or pavement as specified by the City Council,” the city would have the work done and send the person a bill. The ordinance required that sidewalks conform to established standards, or corrections would be ordered to be done within 20 days. When sidewalk repairs were needed, property owners were given only “24 hours of the time of the service of the notice” to do the work. City Attorney Jim Nugent has traced some more “modern day” municipal ordinances back to June 18, 1929 (Ordinance 596). The current requirement to clear sidewalks by 9 a.m. can be traced back to 1929’s Ordinance 596. “Sidewalks must in all cases be freed from the night’s accumulations of snow, ice slush, mud or other like impediment before nine o’clock the following morning.” If not done, the fine was no less than $5 and no more than $25. A lot has changed over the years, but most would agree good, safe streets and sidewalks are certainly desirable. But issues of cost and reasonableness are as likely today as in the 19thcentury to make tempers flare.